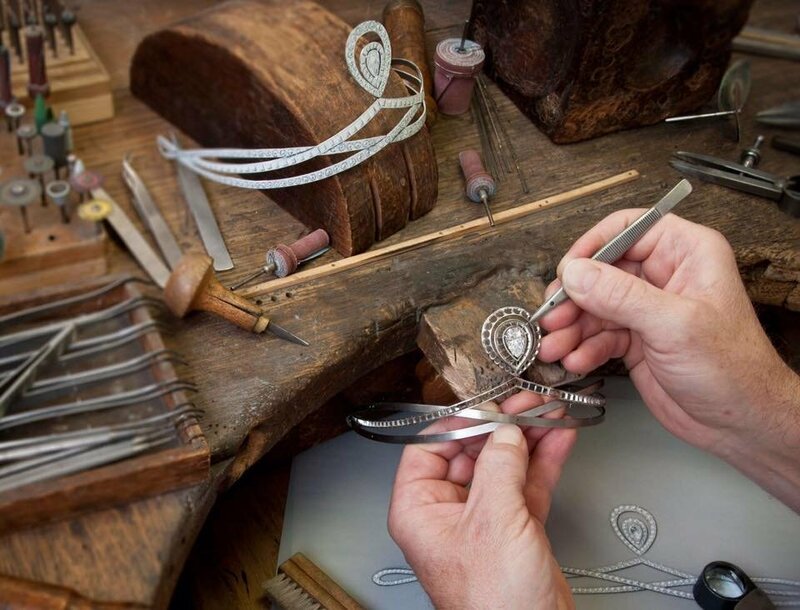 The handcraft market has witnessed a great boom in recent times. No wonder, man is always attracted to the originality and the beautiful past in which these unique arts were spread, unlike the millions of identical products manufactured by the machine. In 2016 TANZO discovered the existence of 200,000 guilds, associations, clubs and other communities where artisans meet to exchange ideas and visions. With the increasing popularity of handicrafts, the market has tripled since 2008 to reach $ 100 billion, and if we look at the situation in some countries we will discover the bright future of demand for the industry. For example, India alone exported $ 5.4 billion worth of handicrafts, up 15 percent from the previous year. 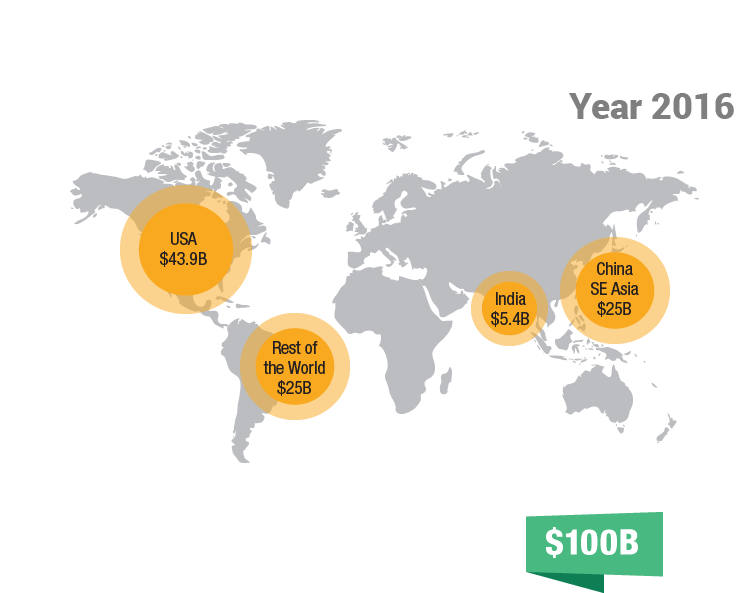 The United States has the lion's share, with the market reaching $ 43.9 billion, according to AFCI. 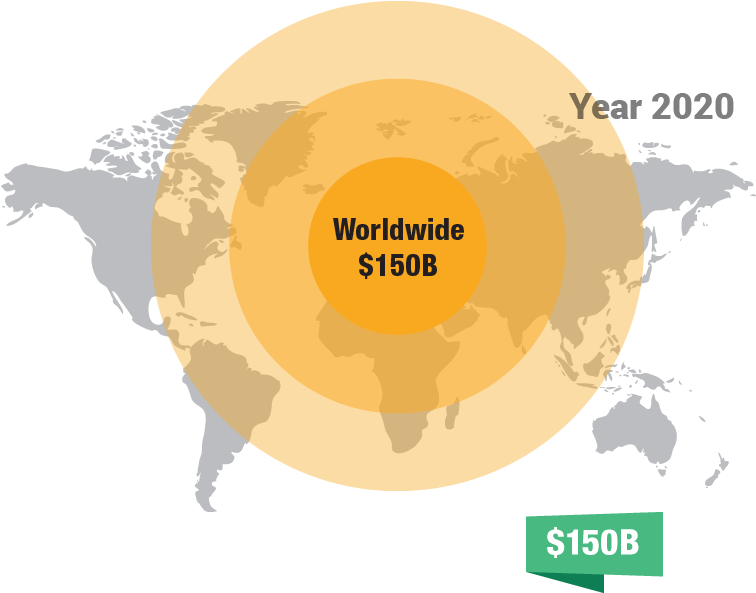 TANZO expands the concept of buyer and increases their numbers (indirect buyer). In the past, whoever wanted to buy any product from another country had to travel to the crafter or the seller or to be a member of a tourist group heading to this country to buy what he wanted This cost a lot of money and therefore it was an opportunity to acquire the products limited to a category that has a lot of money. Unlike some of the famous platforms that provide the same service, but at very high costs in addition to the inability of these platforms to verify the authenticity of the piece made or not to the complexity of traditional payment methods. It is no secret that the industry has suffered in the world as a whole, especially the countries of the Third World. It was the profession of some families but the young people give up these professions because of the recession and the adoption of artisans on the direct client (tourist). Now, with TANZO and with what it will produce in this market migratory birds will return to their profession again and leaving the normal professions in which they worked . I aspire personally, schools to should be established to teach these professions. Unions and other groups have a role to play in them through TANZO, where the learner is a graduate. He has received a certified certificate from the great teachers that he is an excellent crafters. This short video shows the 2000 workshop for the manufacture of Egyptian products and antiques in Egypt. They complain about the big recession in the industry because of the decline in tourism. Can TANZO help them? 1- Lack of knowledge of international marketing tools. With the increase of globalization and with the great production of all goods, the crafter is competing with goods from all countries of the world. Because this craftsman is creative and artist and works hard, he often does not belong to the digital world that now prevails and which transfers those goods from the extreme to the literal. In his country, the challenge has come to the craftsman from abroad, whether in the form of goods imported to his country or platforms that expose the goods in his country. So artisans have to establish a good relationship with social media, internet marketing and others. 2 - The buyer's lack of confidence in the goods. There is now no confirmation for the buyer to buy a piece of what this piece is handmade or not. There is no mechanism for this and not even for literal definition. 3- Lack of direct contact with potential buyers. Direct contact with the potential buyer provides several advantages for the crafters to know the buyers' attitudes and reactions about what he is doing and to make sure the buyer is serious about buying. All of this is now missing, which affects the market as a whole and the crafter in particular. 4 - Difficulty directing traffic to their product lists. The crafters now lack a good and smooth system in which they can display their products in an appropriate and easy way, where the buyer can easily and conveniently review their products. 5 - Barriers to proper representation of their products. The crafters often lack marketing methods that enable them to display their skills and products in the right way that attracts buyers and makes them accept their products. 6 - Fear of false or non-buying buyers. No guarantees under the current market situation of crafters from fraudulent operations that are the source of false or fraudulent buyers. 1- Difficulty verifying the character of the craftsman. 2 - The difficulty of verifying that this product is handmade. 3 - The difficulty of verifying that false goods are not passed along with others. 4 - The difficulty of verifying that the supply is not large production, but handmade. 5 - Lack of reliable instructions from the same platform or previous buyers. 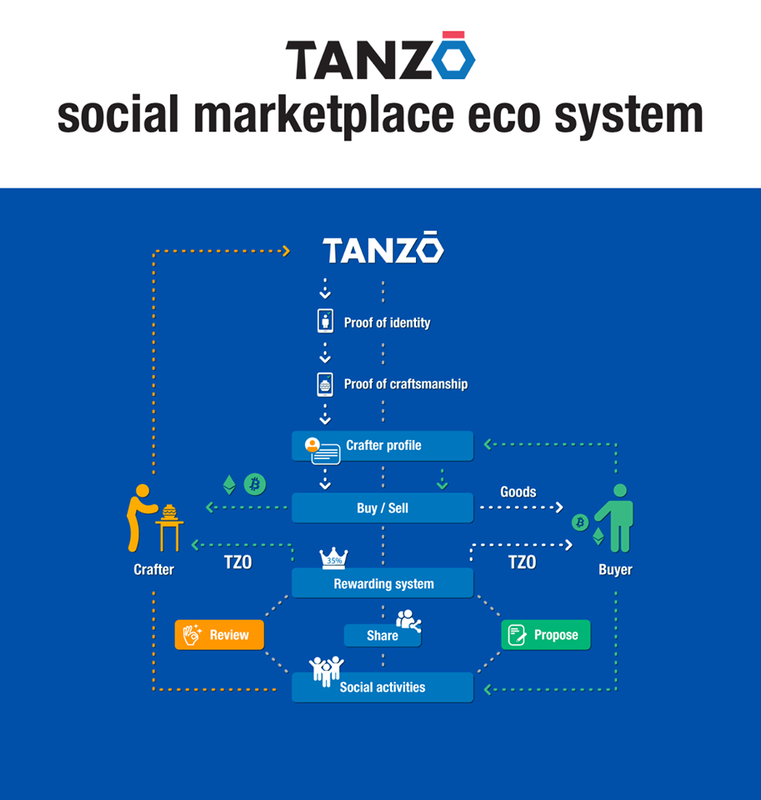 TANZO is the social market for handmade goods based on the Blochchain technique. TANZO allows crafters to create and develop their own personal understanding on the storefront easily and incorporate their own handmade items for sale. The TANZO platform also offers rewards from TZO, token within the platform. TANZO's Distributed Ledger also provides transparency within the platform, making it open and safe for buyers and craftsmen, and we will go back to that in detail. I would like to mention these advantages in brief points and we will return to them in detail later. 2 - Transaction fees are 1.5% lower per sale. 9 - product return and resolution of disputes .. through the application of TANZO, which provides protection to the buyer if the goods any defect or non-conformity with the available data, the procedure is to return the product to the crafter and refund the money to the buyer in the same way of payment, or to the contrary and exposure craftsman For false accusations by the buyer and thus TANZO platform is the first platform for resolving disputes impartially. A - How does TANZO help crafters? Protect artisans from unfair competition. Because TANZO is based on Blochchain technology and takes advantage of the Distributed Ledger technology, which ensures transparency within the basic system, it prevents any illegal competition by the wholesale seller or similar products. The craftsman has the option to associate one or more of their external products. Link their accounts to TANZO with their accounts on Facebook, Instagram and others. They can display many hand tools and display photos / videos from their actual workshop and provide them with greater interaction and a larger client base. Continuous update of each new product deployment on TANZO. Crafers have the right to register as participants in one or two unions or other entities. The incentives offered by TANZO will be based on the number of craftsmen in each organization. B - Why will buyers use TANZO? The identity of each person will be included through the profile of each craftsman. This will require downloading the TANZO application. Under this application mechanism, in addition to geolocation, the identity and health of the subscriber can be verified and the products are handmade and in the specific workshop. 2 - reward the buyers when participating in social activities on the platform by receiving codes TZO. 3- Smart contract records allow you to make sure that all revisions have been made by the people who have already purchased the item. Shortening the search time on the site by limiting the overload of information encountered on other platforms. Buyers will be able to browse any digital interface in the crafter, explore their profile, and view workshop images of available products and previous sales. TANZO offers a recommendation engine that offers suggestions according to previous buyers preferences. 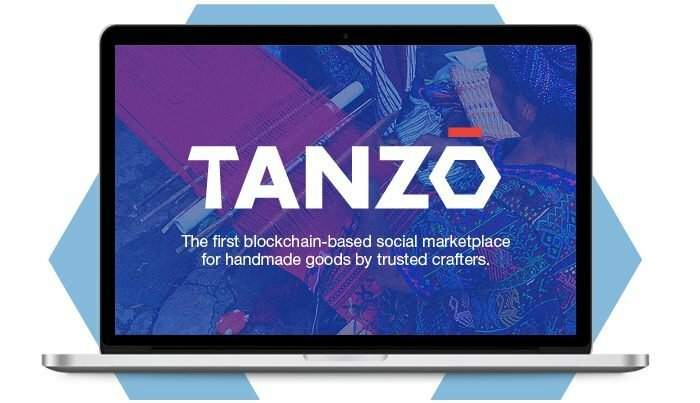 The TANZO platform has created an innovative reward program in its statute that motivates crafters and buyers to adopt the platform as the only solution for this purpose. • Registration. Each vendor registered on the platform receives a TZO bonus. These codes can only be used to cover the basic system fee for the first listings. • First sale .. Artisans get 1% in the first sale to them. • Sales on a certain amount .. Artisans receive a promotional reward to arrive at a certain sales number. • Reach a certain number of followers and fans. • Registration. Each new potential customer will be given TZOs codes when registering and used for platform activities only. • First purchase .. Initial purchases will be rewarded with TZOs to encourage buyers. • Purchases at a certain amount .. TANZO will reward TZOs with each person who buys a certain amount. • Valuation .. After the receipt of the buyer's goods is the role on the evaluation and it offers TANZO reward. • Referral .. TANZO did not forget to provide TZOs equivalent to buyers who referred other buyers as a promotional reward. • Excellent membership. Give the advantage of booking a product that may be rare for those excellent members and will be for excellent members (users / buyers) who have received a number of TZO bonuses on the platform.